This is part of our series on books that have positively impacted our lives and careers. Check out all of the books we review by following us on social media or see our previous reviews summarized here. 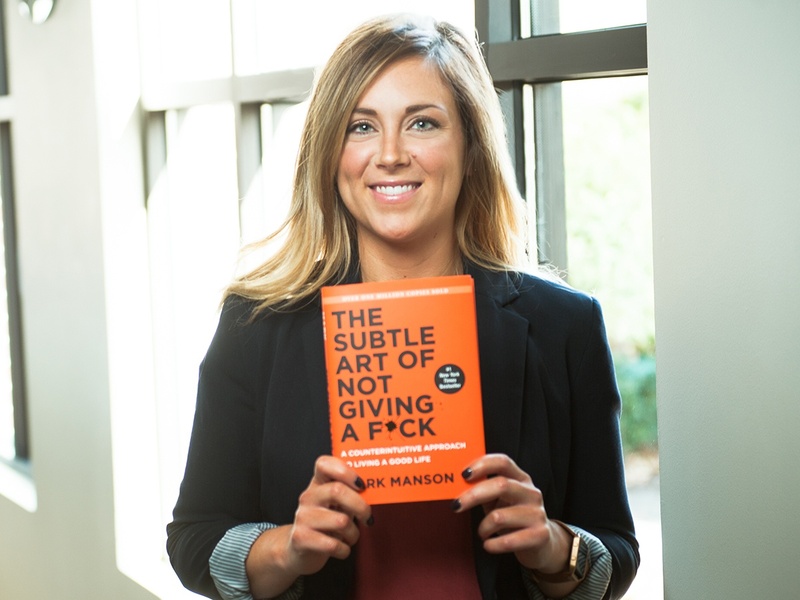 The Subtle Art of Not Giving a F*ck is about (almost) what it sounds like. If you think reading this book will give you permission to say and do things that your need for approval and fear have been holding you back from, you’re right! If you think this book will give you permission to have a total indifference toward life, you’re wrong! Have you ever left a meeting thinking, "Why didn’t I just tell them no? I know they’re not interested." Have you agreed to stretch yourself too thin because you can’t say no to your friends, family, neighbors, PTA, dog, coworker, gardener, and mother’s third cousin twice removed? Not giving a…you know…in those situations should be seen as empowering and strong, yet some consider them taboo or uncomfortable. The book also uncovers that maybe you’re giving too many…"cares"…about everything, and maybe you need to pick and choose your battles. Are you an angry Yelp reviewer as a side gig? Are you still talking about getting cut off in morning rush hour traffic at 11:15 am? Are you not making sales calls because one too many people told you "no" today, and you’re curled up on the floor in a puddle of rejection? Are you constantly goaded by internet trolls? Wouldn’t life be easier if you dedicated your…"concerns"...to things that actually needed them? Give "F"s about your marriage. Give "F"s about your kids. Give "F"s about your security and success. Stop losing your cool over group texts, cold soup, or the fact that someone didn’t want to buy what you had to sell. Your brain will not melt from having more than one friend, gazpacho is refreshing, and there will be someone else who actually needs your help. Save your "F"s for when you need them the most. Don’t just hand out your "F"s all over the place like an "F"in "F" fairy, because they lose their magic quickly and so do you. And if you’re handing them out for all the small stuff, does that mean you don’t have enough big stuff? Or maybe you’re yelling at the gas station cashier because you’re avoiding the things you should actually care about. In any case, grab this book and determine if you’re overtly not giving an "F", or if you’re giving too many. It is a subtle art after all.